Parlour Noir is a well-spring of traditional jazz music from the historic Mt. Airy district of Philadelphia, PA. The eccentric ensemble brings joy and energy to the stage across a variety of venues, from bombastic swing dance weekends to intimate restaurant settings and private events. Comprised of vocals, horns, piano, banjo, drums, and upright bass, the band swings hard through a repertoire that spans 1922-1945, including a handful of original tunes made specifically for the dance floor. Don’t hesitate to say hello during their next band break—they’re happy to chat or a share a drink! Booked Parlour Noir for my 50th 1920's themed flapper party and was so pleased that I did. Adam and the band were amazing. Stellar performance. The dance floor was packed the entire time. They played almost nonstop and were extremely accommodating with requests. Their friendly personalities added to the atmosphere of the party. Felt like they were friends instead of the band I hired. I would so book them again for another event. Book them!!! You wont regret it. It was an evening to go down in my book of memories! Parlour Noir was just the band I needed for a fun corporate networking event in Philly. They were extremely responsive and easy to work with and the music was top notch. Parlour Noir is nothing short of spectacular! I booked Parlour Noir for two events that I hosted this year and I cannot say enough good things about them! For one they made booking easy, straightforward, and worked with any requests that I had. The day of the gig they arrived early and had plenty of time to set up. There was some disorganization during the first event but Parlour Noir was easy to work with and helped reach an easy solution. I asked them spur of the moment if they could play live music for a competition and they were game. It turned out excellent and left everyone jumping and dancing the night away! Parlour Noir is nothing but professional and make events even more special with their unique sound. I was so satisfied the first time that I booked them a second time a few weeks ago. Let's just say that they are at the top of my list for my next event and can't wait to work with them again! I highly recommend that you book Parlour Noir for your next event and, trust me, you won't regret it! 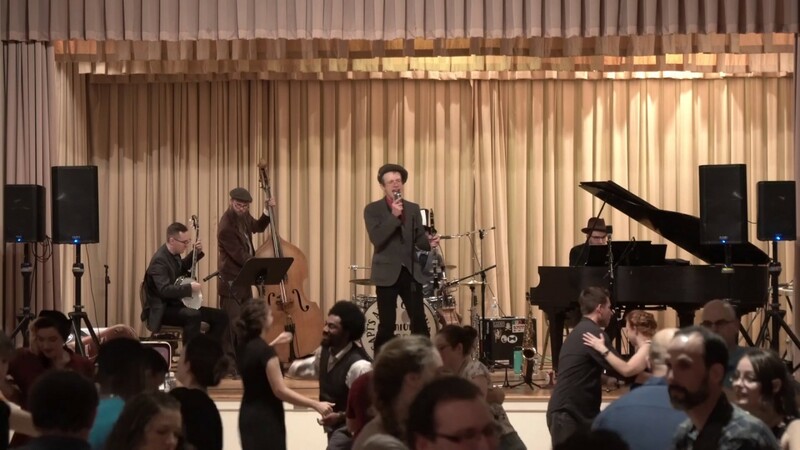 We recently had Parlour Noir play for us at our Swing Dance Holiday Party at LindyCentral. They were fantastic and played a variety of songs, which were all danceable and inspiring and just the right length for social dancing with many people during the event. Not only were they super talented musicians, but they were also highly professional and a breeze to work with before the event, during, and after. They are approachable and also they keep an eye on the dance floor and tailor their music to the needs of the crowd. You can not get much better than that. We can not wait to have them back! We look forward to seeing where their endeavors lead them and hopefully they will grace our dance halls many more times. I see big things in store for this band. Thanks! 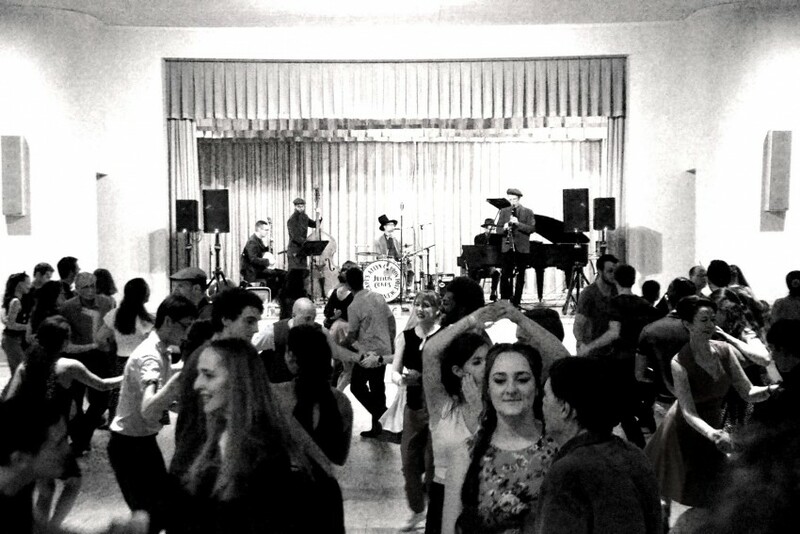 It was our pleasure to play at LindyCentral's swing dance! 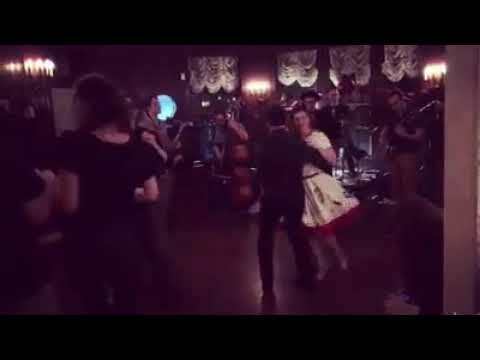 I had Parlour Noir play at my Gatsby themed 30th birthday party, and they perfectly added to the atmosphere! They made me feel like I was transported back in time. They play music that makes you want to dance, without being too loud or overpowering the social aspect of the party. I highly reccomend them! Thank you Allison! It was a real pleasure to play at your party! Parlour Noir performs lively jazz age standards that add a sophisticated atmosphere to any any cocktail hour. Their swinging music is also perfect for receptions and dance events. Originating from jam sessions in a dark Mt. 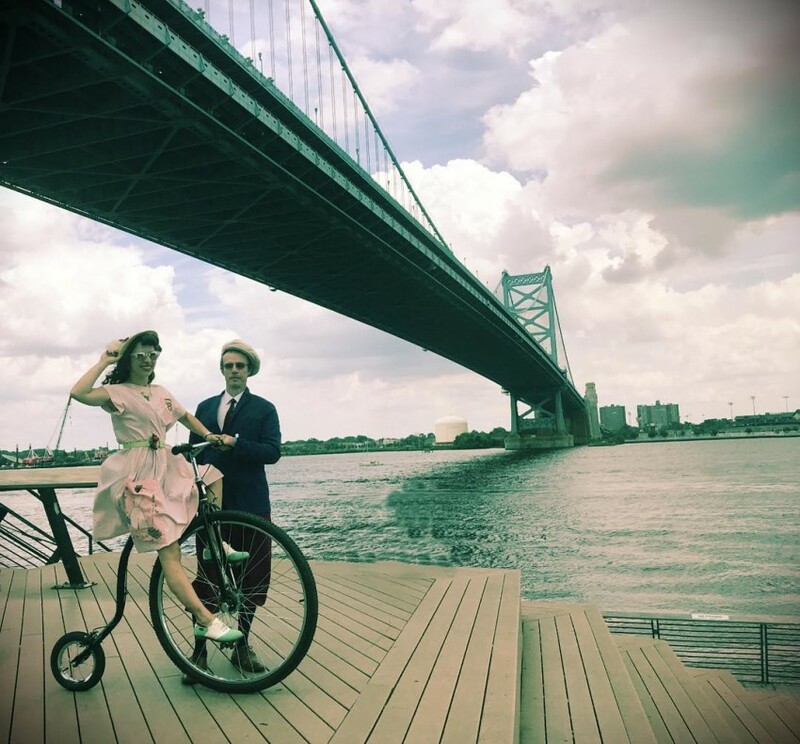 Airy parlour, this Philadelphia based swing band plays lively jazz-age music that gets everyone up and dancing! With a combined 60 years of professional musical experience, Parlour Noir plays with a swinging style that will liven up any Wedding, Cocktail Hour, or Private Event! Our only requirement is access to an electrical outlet. We happily take requests as well!